The theme of our ball is Mid-Victorian so if you wish to dress in period-appropriate clothing, here are some guidelines to help you choose your ensemble. If you are unable to come in Victorian clothing, modest modern formalwear is also permitted. 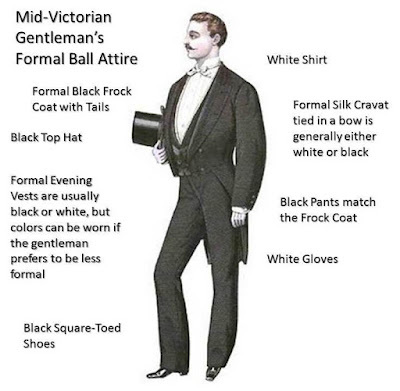 Gentleman may attend in modern military uniforms, tuxedos, or suits (jacket and tie or bowtie requested). 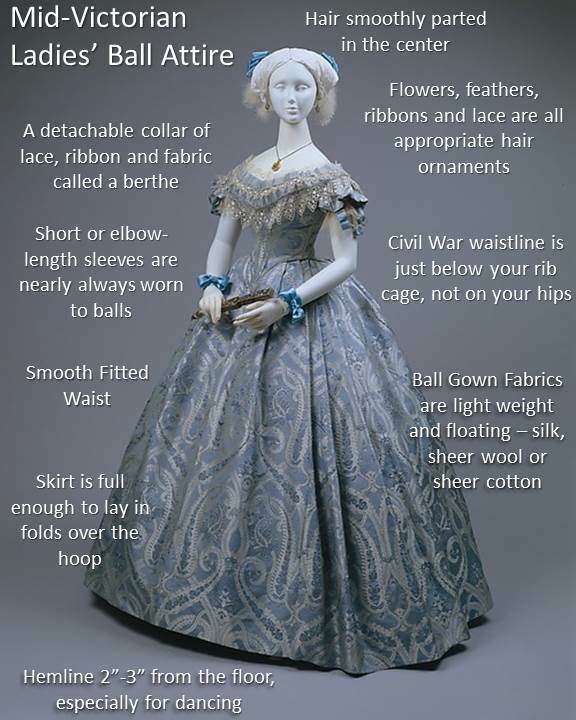 Ladies may attend in modest formal evening gowns. Flat or low-heeled shoes are recommended, as high heels are unsafe for dancing. 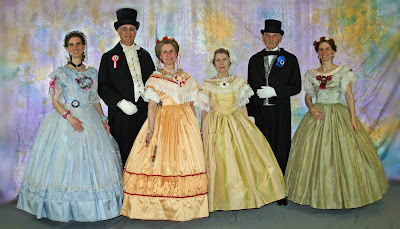 PLEASE: No weapons or spurs worn while dancing! Thank you.